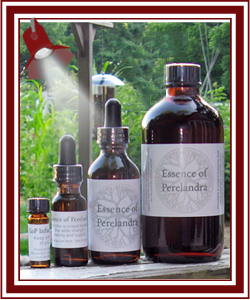 Spotlight: Essence of Perelandra Solution or "EoP" - Perelandra Ltd.
You can use EoP anytime and anywhere you wish to provide a unique foundation of balance, stability, strength and support. The EoP Solution contains a carefully constructed, complex electrical pattern that captures all of the elements that create the unique balance we call "the Perelandra garden" and makes it available to you. What does that mean in practical, everyday terms? When would you need or want balance? Stability? Strength? Support? When you're feeling exasperated or hopeless after news of another senseless shooting or bombing, and you need to pull yourself together so that you can get on with being useful, try an EoP Stress Break Bath. Before you head out the door to a protest, rally or vigil, put an EoP Infusion Pump in your pocket. During a challenging work day, when you feel like you're flailing and you just need a moment to get centered, step outside for a quiet moment and take 10 drops of EoP orally. One 2-oz. dropper bottle of EoP contains about 120 doses. One 8-oz. refill bottle of EoP yields 3 baths. One dram-size EoP Infusion Pump lasts forever if capped and unopened.